FAIRDIP GROUP focuses on finding investment opportunities on European markets (Czech Republic, Slovakia, Romania, Cyprus, Ukraine and Russia) and on Asian markets (Kazakhstan, India, China, Indonesia, Singapore and Philippines). Thanks to our experienced team of analysts and traders, we are successfully specializing in the steadily growing financial and receivables markets, where most financial institutions (banks, credit companies, mobile operators, insurance companies, energy suppliers, etc.) are dealing with their volumes. Communicating with colleagues and key spokespeople. Liaising with, and answering enquiries from media, individuals and other organisations, often via telephone and email. Researching, writing and distributing press releases to targeted media and clients. Collating and analysing media coverage. Organising events including press conferences, exhibitions, open days and press tours. Maintaining and updating information on the organisation's website. Managing and updating information and engaging with users on social media sites such as Twitter, LinkedIn and Facebook. Sourcing and managing speaking on sponsorship opportunities. Able to work within a tight deadline and ability to cope with pressure. Curious about the world around you. General understanding of current events. Ability to work well alone, or in a team. Drive, competence, flexibility and a willingness to learn. Strong familiarity with photography, video and audio content gathering and editing skills. Organizes material and writes stories conforming to specified length, style and format requirements. Russian language is a plus. Marian was born in 1982 in the Slovak Republic. After his studies in Slovakia & Australia, he moved to the United Kingdom and graduated at the University of Northampton. His work career started in sales with an international company – Virgin Group. While living in the UK, he has also worked for a mid-sized UK Company where he was a key member of operation processes. After living in the UK for six years, he has moved back to Slovakia and worked for an international company – SIEMENS, and established a privately owned financial company, in which he was responsible for entire operations and sales activities. Marian speaks fluent English, Slovak, Czech, and Hungarian. With his International experience, he joined M.B.A. EMPIRE’s top management team in 2013, where after a short time he has incorporated M.B.A. Consulting India and has become its Director & CEO. He took full responsibilities and successfully led the company to its horizon. From beginning of 2018, Marian is acting as the non-executive Director & shareholder of M.B.A. Consulting India. In 2016, Marian has also become a member of Board of Directors at FAIRDIP GROUP and taken the position of CEO of the GROUP. Sergey was born in 1976 in Sakhalin Oblast, in Russia. He has graduated from Vladivostok State University of Economics and Services with a degree in World Economy. In 2004, he gained an academic degree of a candidate of Economic Sciences. He speaks fluent English, Japanese and Russian. His carrier has started in 1998 working at the Russian Federation Tax Service, following that he moved to the Accounts Chamber of the Russian Federation, then to the Central Bank of the Russian Federation at the municipal level in the framework of Rosatom. For his atchievments has received state awards also. 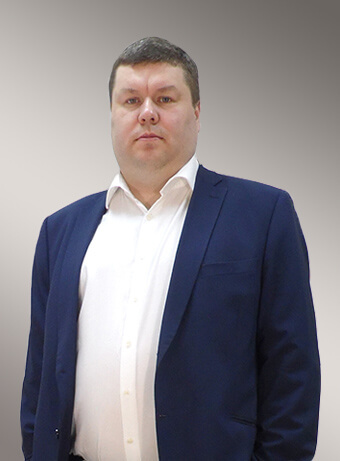 In 2016 he bacame the Manager Director of ETAP Collection Agency and the Chief Investment Officer – CIS of the FAIRDIP GROUP. Martin was born in 1974. In 1998, he graduated from the Matej Bel University (Slovak Republic), Faculty of Economics, specialisation Corporate Finance. 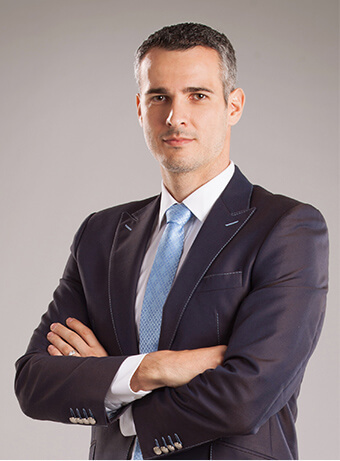 Since 1998 till 2013, Martin spent his career on the positions Finance Manager and Finance Director in several international companies active in Slovakia, e.g. Molex (USA, electro-technical and automotive industry), Berlin-Chemie/Menarini (Italy/Germany, pharmaceutical industry), Jungheinrich (Germany, logistics services), Intrum Justitia (Sweden, financial services). In these positions, Martin was responsible for leading the teams of finance depts. counting to 15 subordinates, covering corporate finance responsibilities e.g. accounting, taxes, payroll, financial planning, controlling, cash-flow management, procurement, risk management, internal procedures and quality management. 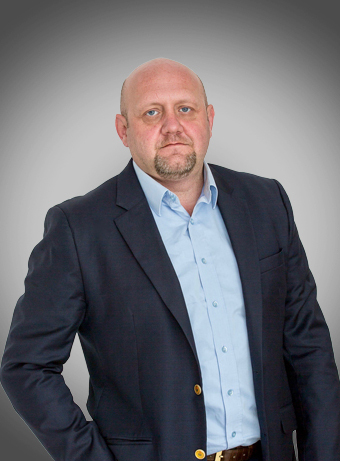 From 2013, Martin is active as the lead of his family driven company Asterion Finance & Advisory active in the countries of Central Europe and currently serving it’s 150 clients the services of accounting, taxes, payroll, financial planning, controlling, cash-flow management and general business and finance advisory. Special area in Martin’s focus is international business modelling and structuring. In this relation, Martin has valuable experiences with a number of jurisdictions within European Union as well as in other continents. 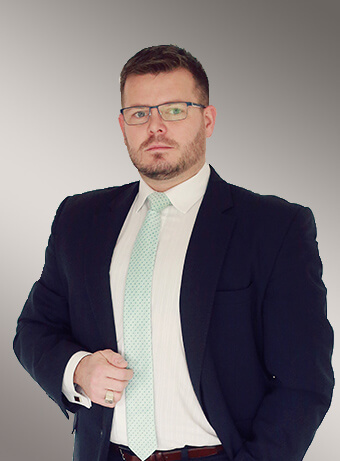 Martin’s long lasting career in the field of corporate and investment finance, as well as the set of his personal skills, predict him to be a valuable and reliable management and advisory to the clients demanding the support and assistance in their core businesses. Martin lives in Bratislava, the capital of Slovak Republic. His hobbies are sailing, history and music. Balazs was born in 1981, in 2005 he graduated from the Faculty of Law of the Comenius University in Bratislava, Slovak Republic. Since 2005 Balazs has been practicing civil law without interruption and in 2010 he became member of the Slovak Bar Association. During his professional career Balazs has been providing legal services to hundreds of clients, including domestic and international companies, multinational corporations from the United Kingdom, Germany, Hungary, Austria, Romania, Czech Republic and other EU countries as well as from the US, India, China, Indonesia, Singapore and Israel to mention just a few of the jurisdictions Balazs has earned priceless experience with. Balazs has highly valued skills and experience in legal project management while he is professionally focusing on business and commercial law, transactional and contractual legal relationships, regulatory and compliance matters. 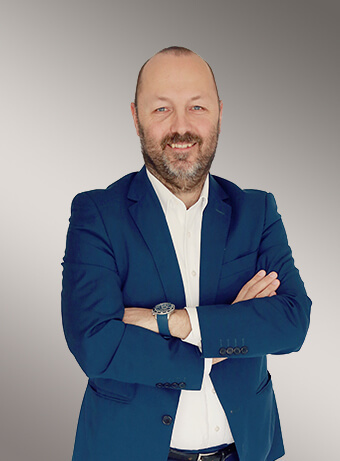 In his advice, he is open minded and proactive but reasonable at the same time, saying: “Whatever we save today concerning disputes, we can invest tomorrow into our development!” Balazs is fluent in English, Hungarian, Slovak and Czech and he is regularly providing legal services in all these languages. Balazs is able to work under pressure and stressful conditions while he stays focused and target driven all the time. Beside that he has a valuable motivational team spirit thanks to which he is a true team member. His motto is: “Talent wins the match, but teamwork is what wins the championship”. Roman was born in 1974 in the Czech Republic. He has a Master degree in Economics with military background as he studied in Military University of the Czech Rupublic Army. Post year 2000, he left army and started to work for Volkswagen Financial Services in the Czech Republic. In 2010 he moved with VW FS to India as a member of the team to establish and run a new NBFC company for the group. Roman speaks fluent Czech, Slovak, English and Russian. With his international experiences he joined M.B.A. EMPIRE in 2015, with specific task to consolidate financial services operations and set up TA MERI GROUP based in Cyprus. In 2017 he joined FAIRDIP GROUP as a member of the Board and took responsibilities as a Chief Strategy Officer – CIS region.